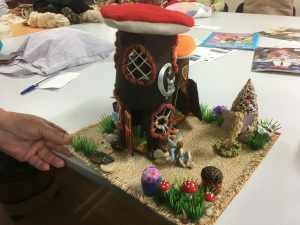 Julie has made another house and garden for her beautiful woodland creatures. Amazing details. I love these little houses.